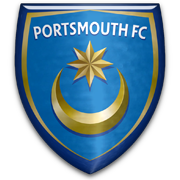 Pompey were formed in 1898, after the demise of the Portsmouth based Royal Artillery club, who were banned from the FA Amateur Cup that season for professionalism. It was from the Royal Artillery supporters that the famous "Pompey Chimes" chant first originated - and the new Portsmouth club also took the club's colours - pink - and many of their players. 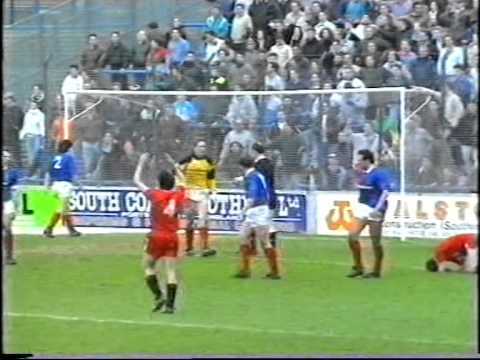 Swindon first travelled to Pompey in 1899, when the sides were drawn together in the FA Cup, Pompey winning by two goals to one, and with Portsmouth taking on the Artillery's Southern League place, the two sides became regular opponents immediately - and Pompey quickly became a bogey team, the Town losing fourteen of the first sixteen encounters. 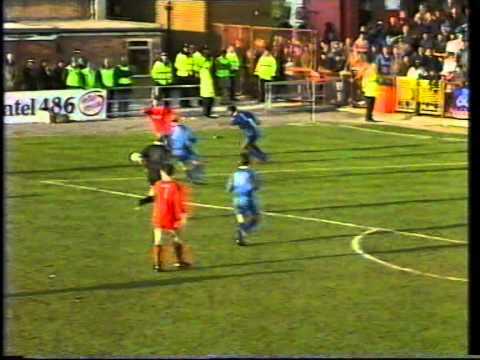 One of these early encounters was the only known occasion when the Town took to the field for a competitive first team fixture with only ten players. Bizarrely, in the days of the old 2-3-5 formation, instead of sacrificing a forward, Swindon lined up with just one defender - Paddy Fagan - who was overran as Pompey ran out 5-1 winners. 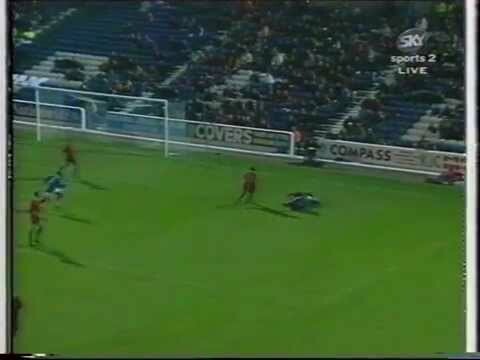 In 1993, both Portsmouth and Swindon were in the race for promotion to the Premier League. 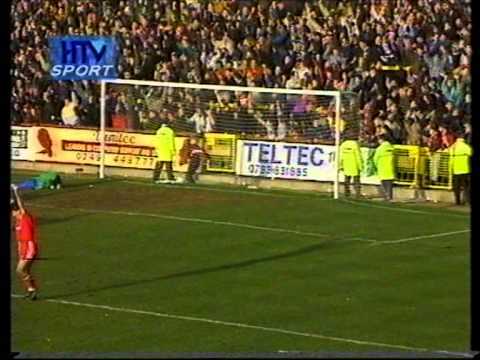 In the penultimate game of the season, West Ham visited the County Ground for a match shown live on TV - and with the Hammers and Pompey being the only challengers for the second automatic promotion spot, the Town had a lot of support on the South Coast. 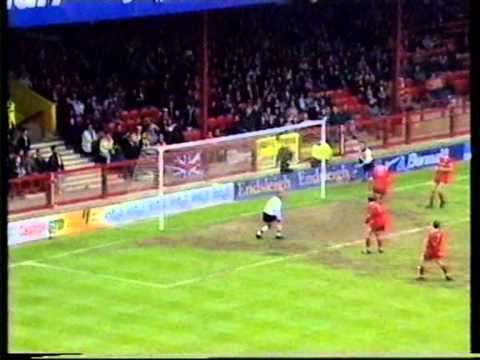 Swindon however had already qualified for the play-offs, and when West Ham ran out 3-1 winners and went on to claim second place, some of the Pompey fans blamed the Town for allegedly not taking the game seriously. 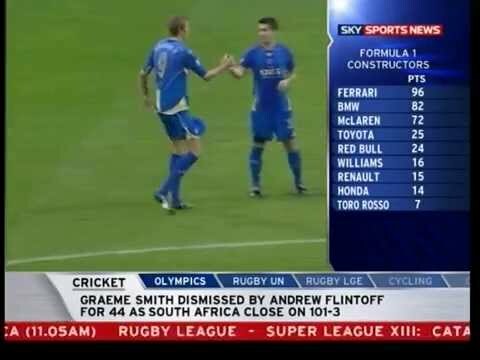 The situation was made worse after the play-offs, when Leicester beat Pompey in the semi-finals, and the Town triumphed at Wembley - and when the two teams were drawn together in the League Cup the following season, it was billed as somewhat of a revenge match in Portsmouth, and they beat Swindon 2-0. 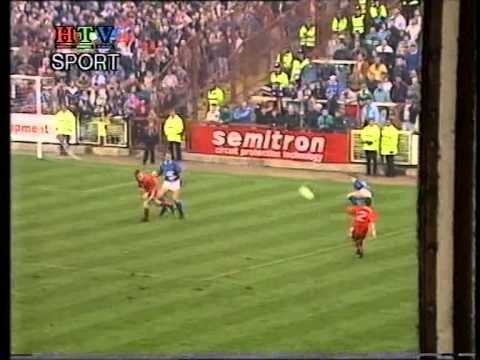 A Jimmy Quinn hat-trick gives the Town a 3-1 first leg lead over their First Division opponents in the Littlewoods Cup. 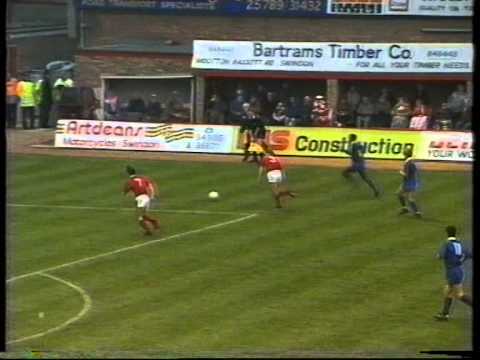 On the pitch, Swindon record another 3-1 win over First Division Portsmouth to wrap up a 6-2 aggregate victory in the Littlewoods Cup Second Round tie - off it, manager Lou Macari clashes with Steve Foley after substituting the midfielder with four minutes remaining. A late goal from Steve Foley secures a point for Swindon, in the Town's first home game of the season. 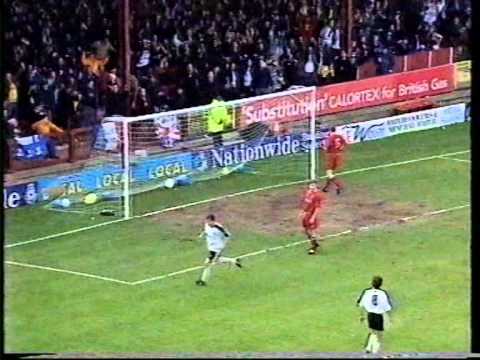 Swindon make the worst possible start - conceding a Micky Quinn goal within 25 seconds - but an 88th minute equaliser from Steve Foley sees the Town take their First Division opponents to a replay. 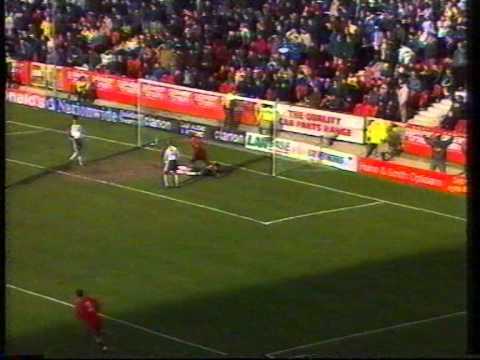 A late goal from Duncan Shearer rescues a point for Swindon, after two Pompey goals in the space of a minute just after the break had turned the game on its head. 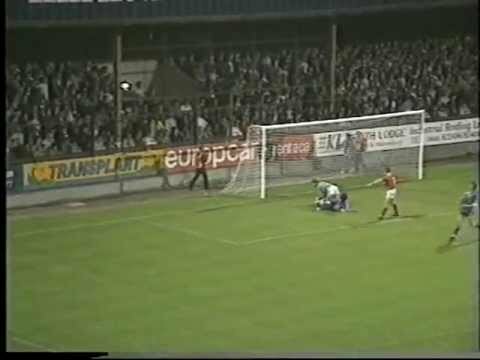 After conceding a first minute goal, Alan McLoughlin nets a second half equaliser for Swindon - the Town denied victory by the linesman's flag. N�stor Lorenzo scores on his d�but, as the Town bring a run of nine league games without a win to an end over ten man Portsmouth. After a goalless first half, the game springs to life in the final thirty minutes - first Pompey take the lead, then a Steve White double puts the Town in front within six minutes. 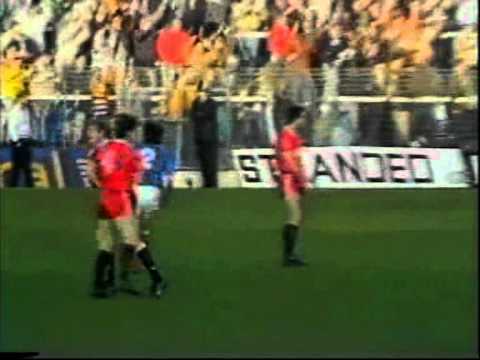 A game I remember well - to this day, my jaw still clicks having been clonked in the face whilst celebrating Tom Jones' opening goal - but a John Beresford penalty in the second half levelled the score up for Pompey. Swindon are beaten at Fratton Park - with former Town man Alan McLoughlin among the scorers. 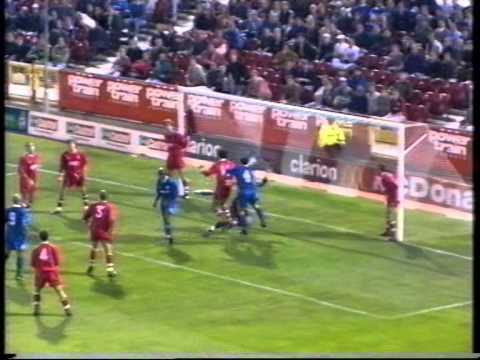 A late Paul Bodin strike wins the game for Swindon against fellow high-flyers Pompey. 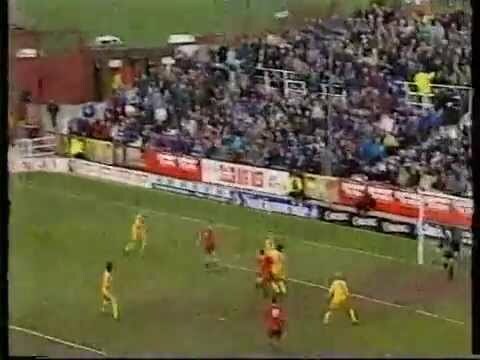 In a game billed by Pompey fans as revenge for the Town 'stealing' their place in the Premier League, second half goals from John Durnin and Paul Walsh take the First Division side through to the Fourth Round of the Coca-Cola Cup. 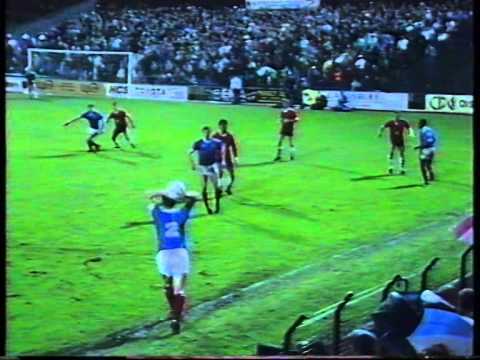 Former Town midfielder Alan McLoughlin opens the scoring with two goals as Pompey race to a 4-1 lead over Swindon, before two goals in three minutes by Jan Fj�rtoft set up a grandstand finish, but the home side hold out for the win. 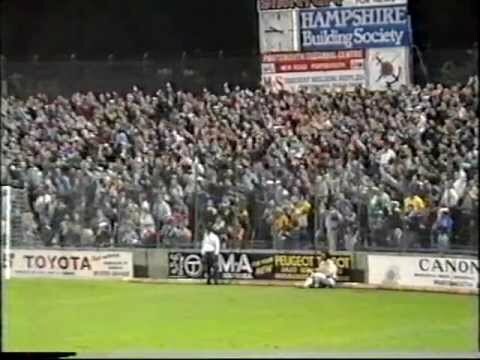 In a game that many Pompey fans see as revenge for the Town putting out what they considered to be a weakened side two years previously, when West Ham won at the County Ground (Portsmouth missing out on automatic promotion to the Premier League on goal difference) - goals from Preki and Deon Burton confirm Swindon's second successive relegation. 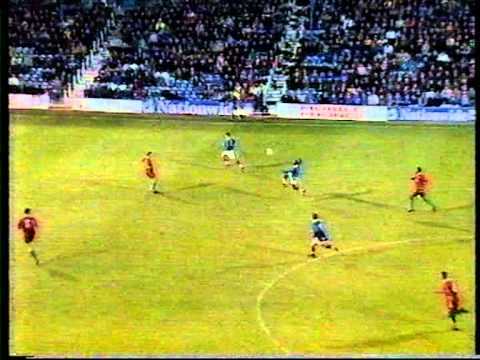 Former Town �1m man Alan McLoughlin nets the only goal of the game for Portsmouth. 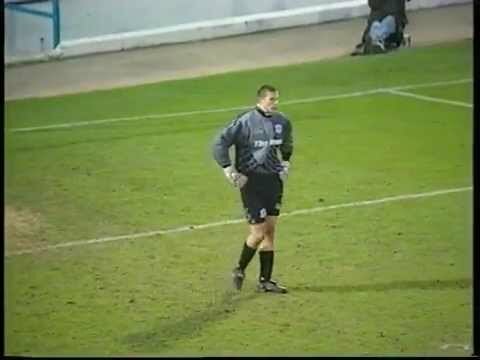 After six straight away defeats, Pompey keeper Aaron Flahavan shows a bit of Christmas spirit - gifting Steve Cowe a goal, and the Town a long overdue away win. 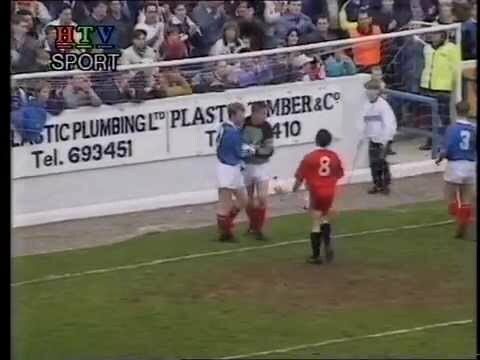 Flying high at the top of the table, Swindon visit Fratton Park on a Friday night - but after Chris Hay gives the Town the lead, Swindon's young goalkeeper Steve Mildenhall suffers a gashed scrotum after a collision with Pompey defender Robbie Pethick. 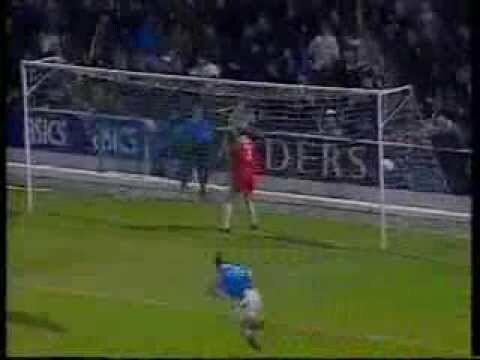 As the Town support begins to dwindle due to shocking form and poor performances, Rikki Hunt offers Steve McMahon a job for life - Portsmouth snatching the game with a late John Durnin winner. 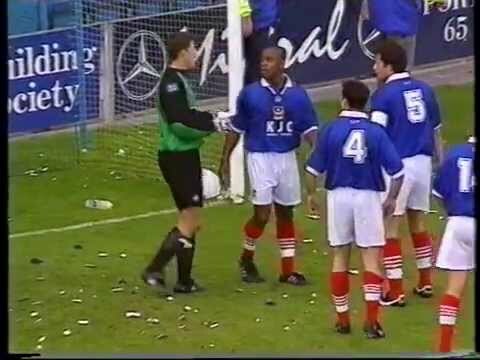 George Ndah makes few friends at Fratton Park - choosing to put the ball in the net after Pompey keeper Aaron Flahavan mysteriously collpases - but the damage is already done, as Portsmouth run out easy 5-2 winners. 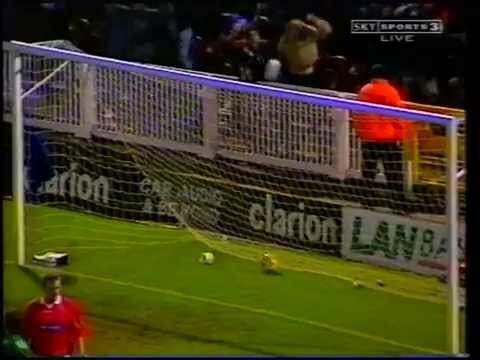 Aaron Flahavan's unlucky run against Swindon goes on - after Chris Hay gives Swindon the lead, the Pompey keeper loses four teeth and breaks bones in a collision with Iffy Onuora. With Swindon having won just one in sixteen, and Pompey one in fourteen - the game between the two sides predictably ends in a draw. 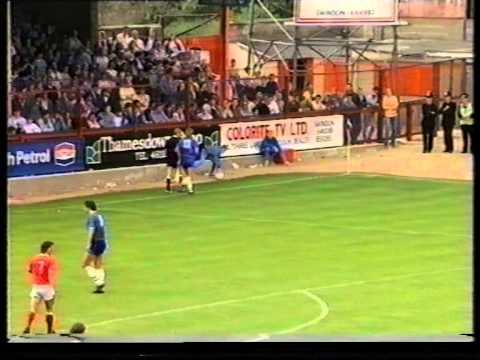 Peter Crouch makes his debut for Pompey in this pre-season friendly - and though their boss Harry Redknapp tips the Town for promotion after their display, the Premier League side come from behind to win 3-1. 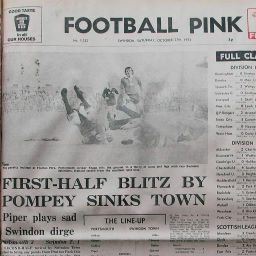 Click to view a newspaper report of Swindon's 1-3 defeat against Portsmouth in the 1961-1962 season. 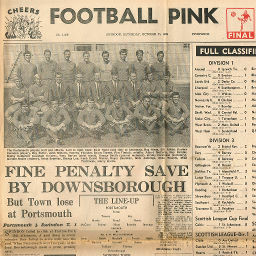 Click to view a newspaper report of Swindon's 2-2 draw at Portsmouth in the 1961-1962 season. 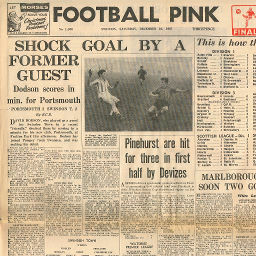 Click to view a newspaper report of Swindon's 4-1 win at Portsmouth in the 1963-1964 season. 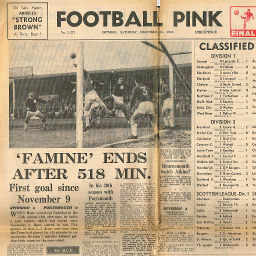 Saturday, December 21, 1963 'FAMINE' ENDS AFTER 518 MIN. 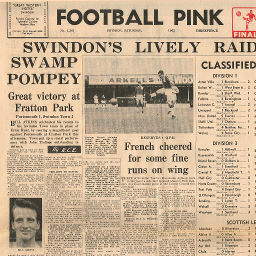 Click to view a newspaper report of Swindon's 2-0 win against Portsmouth in the 1963-1964 season. 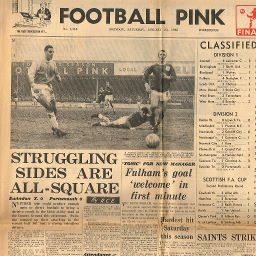 Click to view a newspaper report of Swindon's 0-5 defeat at Portsmouth in the 1964-1965 season. 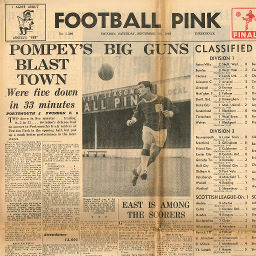 Click to view a newspaper report of Swindon's 0-0 draw against Portsmouth in the 1964-1965 season. 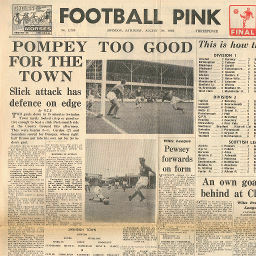 Click to view a newspaper report of Swindon's 1-3 defeat at Portsmouth in the 1969-1970 season. 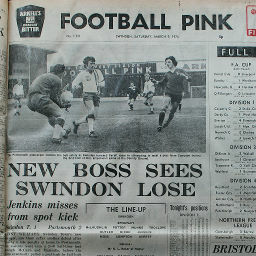 Click to view a newspaper report of Swindon's 2-1 win against Portsmouth in the 1970-1971 season. 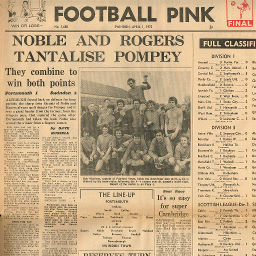 Click to view a newspaper report of Swindon's 2-1 win at Portsmouth in the 1971-1972 season. 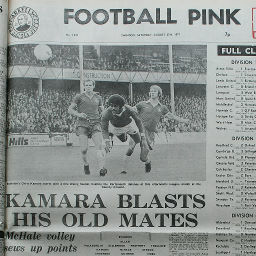 Click to view a newspaper report of Swindon's 1-1 draw against Portsmouth in the 1972-1973 season. 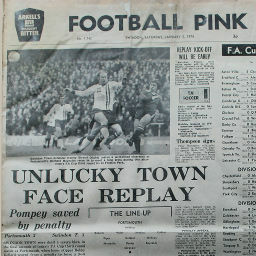 Click to view a newspaper report of Swindon's 1-3 defeat at Portsmouth in the 1973-1974 season. 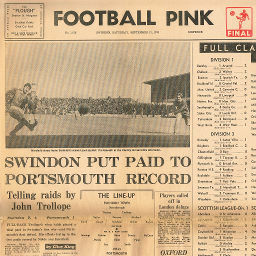 Click to view a newspaper report of Swindon's 3-3 draw at Portsmouth in the 1973-1974 season. 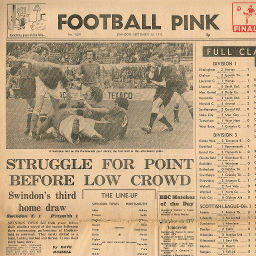 Click to view a newspaper report of Swindon's 1-2 defeat against Portsmouth in the 1973-1974 season. 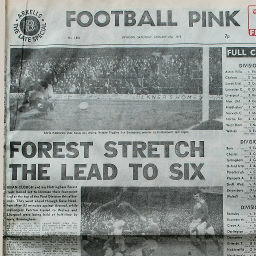 Click to view a newspaper report of Swindon's 3-1 win against Portsmouth in the 1977-1978 season. 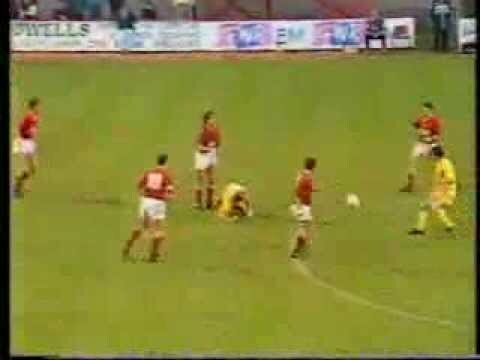 Click to view a newspaper report of Swindon's 2-1 win at Portsmouth in the 1977-1978 season.